Combine 2 cups each blueberries, blackberries, hulled strawberries, & raspberries. Mix in 1 tbsp of sugar. 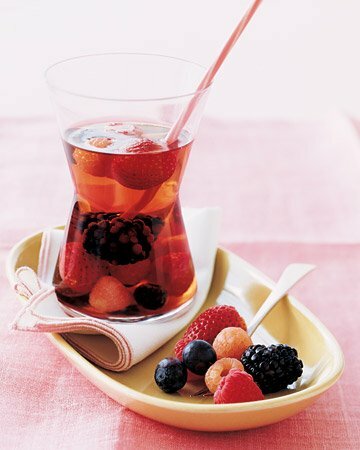 Pour in 5 ounces of Framboise (or other raspberry liqueur) and let sit for at least 1 hour. Gently stir in bottle of chilled rose wine and 1 1/3 cups white cranberry juice. Serve chilled and enjoy! 23 May	This entry was published on May 23, 2014 at 7:59 am. It’s filed under Food and tagged How to make Sangria, sangria recipe, The Best Sangria. Bookmark the permalink. Follow any comments here with the RSS feed for this post.